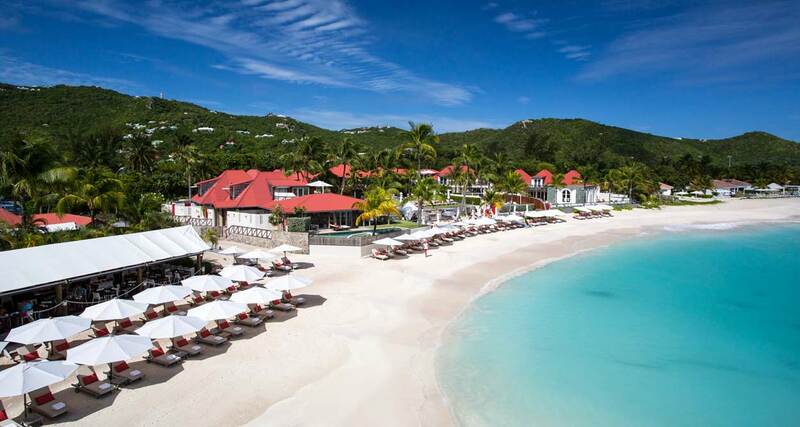 Eden Rock St Barths is a dream Relais and Chateaux on one of the most gorgeous Caribbean island where luxury is enjoyed on a background of stars, turquoise water and fine gastronomy. 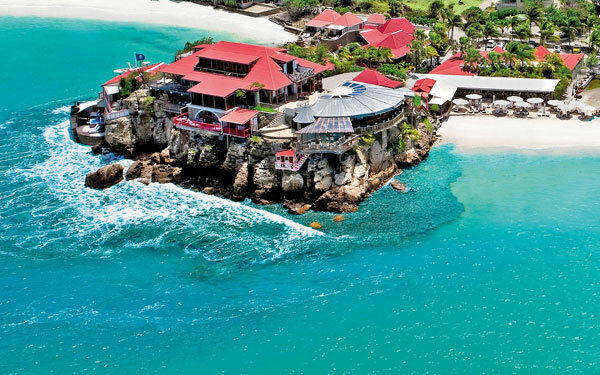 Eden Rock St Barths is located on Saint Barthelemy, a tiny 24-km2 piece of land in the Leeward Islands in the French Antilles off the coast of Guadeloupe. This former haunt of pirate takes its name from Christopher Columbus who discovered it in 1493 and named it in honor of his brother Bartolomeo. The iconic Hotel of the treasure of beauty island was present at ILTM tradeshow in Cannes in December 2015. 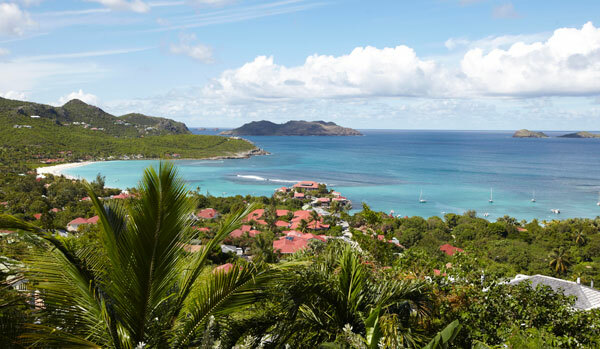 The mountainous island of Saint Barthelemy is a unique destination in the world. The exceptional quality of its still preserved fauna and flora, its beautiful white beaches stretching to the horizon, its pristine skies and blue sea at 27 ° C throughout the year, make it the favorite destination of the international jet set. The inhabitants, mostly from French provinces, have preserved the special character of the place. The Art of Living à la Française attracted many rich and famous visitors, including many Anglo-Saxon. By playing the card of pomp and opulence, quality and great gastronomy, the island has managed to become in a few years, the archetype of the luxury resorts. 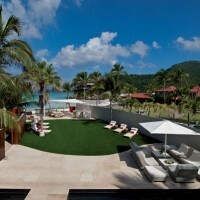 Eden Rock St Barths is part of the Relais & Châteaux network. Built sixty years ago by the famous aviator and adventurer Rémy de Haenen, it was the first hotel to come to life on the beautiful Caribbean island of St. Barthelemy. Friend and confidant of Hollywood high society, of artists like the famous actress Greta Garbo or producer Howard Hughes and American and European businessmen of the time, Mr. de Haenen used to receive his guests on this rock that became emblematic. 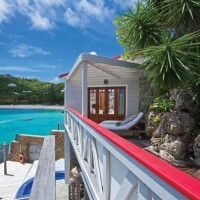 Eden Rock St Barths belongs since 1995 to David and Jane Matthews. 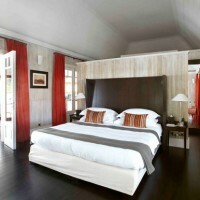 Today, it is a chic address for lovers of luxury and French Art of living in the heart of the Caribbean. 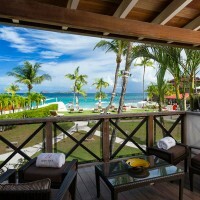 Eden Rock St Barths has the distinction of being placed on a rocky promontory overlooking the coral reefs of the Caribbean Sea and the white sand beaches and clear waters of the bay of Saint-Jean. 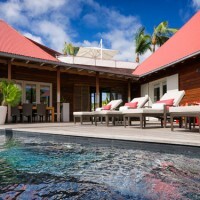 The property includes 32 bungalows in colonial style, with red roofs and white walls, a theme taken for the loungers on the beach which adopt the same harmony, immaculate fabric and scarlet cushions. 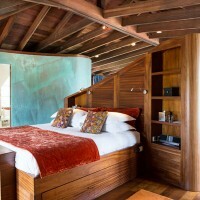 Jane Matthews personally decorated individually the upscale suites, the two private residences and the beautiful villas with private pool and butler. 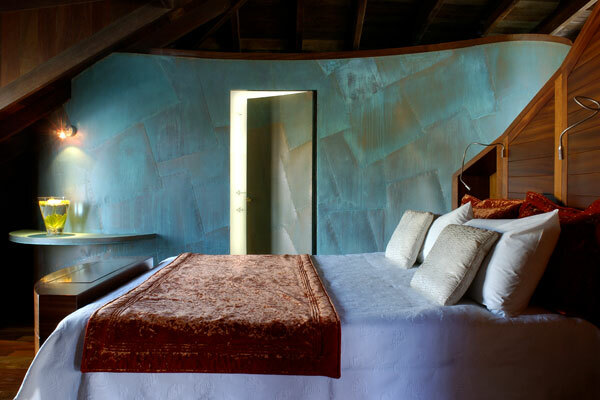 Inside, precious fabrics and antique furniture contrast with the works of contemporary art. The ultraluxe villas Rockstar and Nina, located on the beach of Saint Jean, can be joined together to form a luxurious beach ensemble, with recording studio and art gallery. All these homes with white walls topped with red roofs are scattered on the rock and along the beautiful white sand beach. All have magnificent views of the turquoise waters of the Caribbean sea and have direct access to the hotel beach and its lush vegetation. 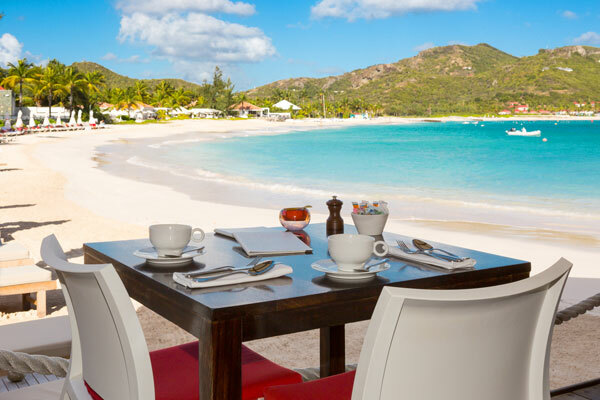 For dining, Eden Rock St Barths offers two exceptional places: the Sand Bar on the beach (watermelon with goat cheese, lobster and avocado, salmon sushi) and the restaurant On the Rocks on top of the rock. The menus, signed by the New York chef Jean-Georges Vongerichten, are implemented by Executive Chef Eric Desbordes, who directly came from the 114 Faubourg, one of the tables of the Bristol in Paris. 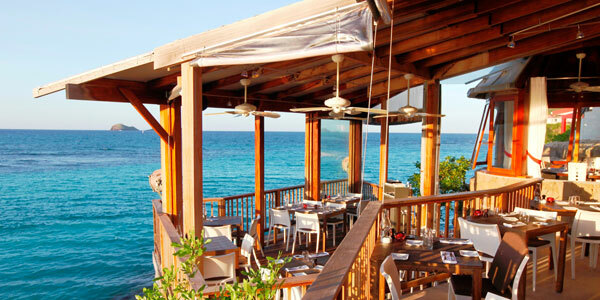 The Sand Bar offers light and relaxed cuisine at lunch. The restaurant On the Rocks, with its haute cuisine worthy of one Michelin star, offers a snapper with fillet of beef, giant prawns and preparations with truffle. 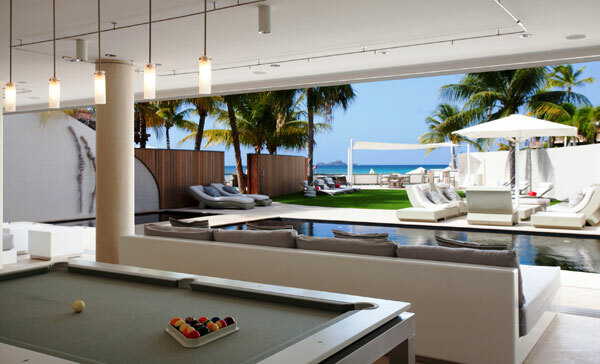 One of the best places in Saint Barth. 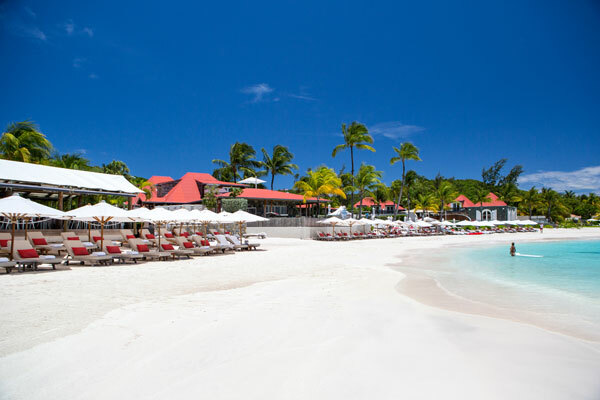 The Taste Of St Barth Gourmet Festival took place from 6 to 8 November, 2015. For this second edition of Taste of St Barth Gourmet Festival, French gastronomy has been in the spotlight in the most prestigious establishments of Saint Barthelemy, including the Eden Rock St Barths. Like the previous edition, the festival invited to its table 7 chefs to bring a little dream about exceptional dinners concocted in duo with the executive chef from the partner establishments. At the Eden Rock, guests could taste the desserts signed by guest pastry chef Laurent Jeannin and the Menu du Chef signed Emmanuel Renaut, godfather of the 2015 edition and its Executive Chef Eric Desbordes. 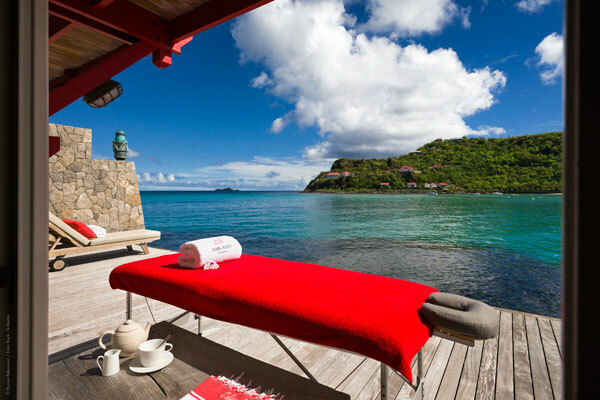 Eden Rock St Barths offers a selection of wellness treatments such as body massage, facial massage, reflexology, hair care, nail care, beauty care… All care and treatments are provided directly on the terrace of bungalows or suites. The Relais & Châteaux Association, created over 60 years ago, brings together leading hoteliers and chefs. Today, it is a reference of excellence in the hotel and restaurant industry and offers 530 exceptional houses in the world. These authentic places of upmarket hospitality offers distinctive and personal experiences of Art de Vivre and high gastronomy.